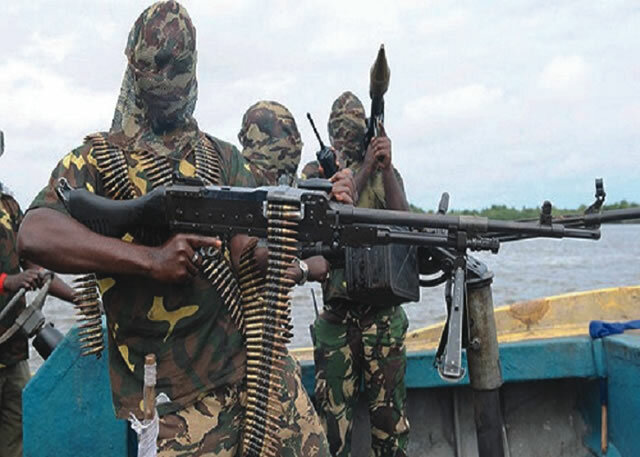 THE Coalition of Niger Delta Agitators has said it will renew its attacks on oil installations in the Niger Delta on September 10 . It also stated that the notice to quit issued to Hausa and Yoruba in the Niger Delta had not been withdrawn . “ Our intelligence department has given us the list of the oil wells owned by the northerners . The northerners have over 90 per cent of the oil wells and the Yoruba have about seven per cent, while the Igbo have about two per cent and the Niger Delta people do not have up to one per cent of the oil wells . “ We are not talking only about the notice to quit ; we are also talking about the Niger Delta Republic . We have seen that the Federal Government is not serious about the Niger Delta issue. Let me make a point here ; the Academic Staff Union of Universities is on strike and the government has set up a committee to engage in a dialogue with ASUU . “ This has never happened in the case of the Niger Delta ; the Federal Government has never inaugurated a committee to handle the Niger Delta issue. The only language the Federal Government seems to understand is violence . September 10 is the day we will resume attacks (on oil installations ) . By September 10 , which is on Sunday , over 5 , 000 members of the Niger Delta Coalition of Agitators will shut down no less than over 20 platforms , ” the group told SUNDAY PUNCH on Saturday. Similarly, the coalition refuted the claim that it gave the Pan Niger Delta People’ s Congress the mandate to withdraw the notice . The CNDA had in August told northerners and Yoruba to leave before October 1 or be forced out of the region . The leader of the Niger Delta agitators , John Duku , added, “ We have not given anybody any mandate to withdraw the notice to quit we issued. On the group (PNDPC ) talked about , we have said we are not working with this set of old people again . The composition of that group is not different from that of PANDEF .